In many marriages, a house is the most valuable property a couple owns. This is true both literally and figuratively. Not only is a home of great financial value, but it is also a place full of memories and firsts for couples and their children. The first place you lived together, the place where your children were raised from birth, and the place your children feel safe. Your family’s home is a really big deal. As a consequence, when couples separate and divorce, houses are an incredible source of conflict. This leads to the key questions: who will get the house at the conclusion of the divorce process? The answer to this question is pretty straight forward if parties have a prenuptial agreement, or a separation agreement that addresses the house. A prenuptial agreement is an enforceable legal agreement that can specify how property is to be divided should the couple divorce. A separation agreement is one that couples may reach between (or slightly before) their date of separation and the finalization of their divorce. Essentially, if there is an agreement, the house will go to whomever the parties agreed should have it. If no such agreement exists, then the answer becomes a little more complicated. Is the House Marital or Separate Property? North Carolina is an equitable distribution state, which means that a court will add up the value of all marital property including both the assets and the debts of the parties. Then, the court splits it up between the spouses based on a list of pre-determined factors. Property that is deemed to be separate property is not subject to equitable distribution. This makes the classification of a house as marital or separate property the critical question. 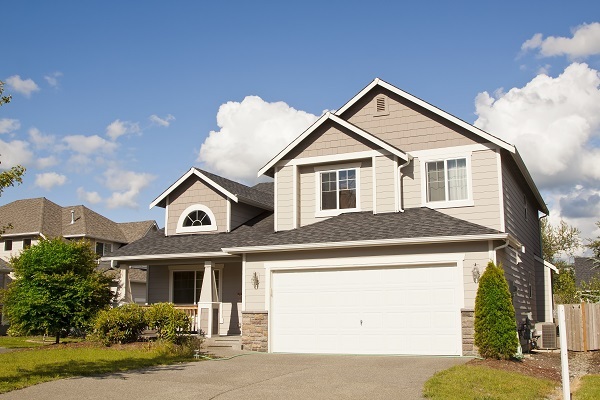 Marital property is generally all property earned or acquired during a couple’s marriage. In contrast, separate property is all property that either spouse owns prior to the marriage or property that is specifically gifted to or inherited by one spouse during the marriage. Therefore if a couple purchases a home together during their marriage using co-mingled funds or using marital property, then the house will likely be categorized as marital property. If a spouse owns a house in its entirety prior to getting married or uses separate property to buy the entire house during the marriage, then the house will likely be classified as separate property and belong to that spouse. Complicating matters, however, is the reality that people generally buy houses and take out a mortgage. So even if a spouse makes the down payment on the house using separate property, it may not remain separate property if the mortgage payments are made using marital property. Equitable distribution proceedings are incredibly detailed and involved. It is so important to get it right, rather than take risks with your financial future. At New Direction Family Law, our attorneys are smart, meticulous, and hard-working. We understand how high the stakes are for our clients and take our duties seriously. Let us help you. We serve clients in Wake, Johnston, Durham and surrounding counties. Call our legal team at (919) 719-3470 to schedule a consultation or visit our website.